We hear it on the news every day. There is always some type of news regarding foreclosures and Notice of Defaults (NOD'S) ever single day of the week. Unfortunately the numbers are showing that half of the default activity is confined to the Inland empire and Central Valley. Strikingly, in this same area home prices increased 34 percent year-over-year in the first quarter of 2005. An estimated 49.5 percent of home owners were able to sell, or refinance avoiding foreclosure, and bringing there home current. A year ago, 80.9% of homeowners were able to save there home to stay and live in it, or save and obtain the equity that they still had in there properties. Of course the number has dropped dramatically as a result of the slow real estate market and lack of sufficient equity to obtain a loan approval from the bank. Since banks as a whole have become more conservative with there approvals, home owners are having a lot more trouble refinancing after their 2 and 3 year adjustable ARMs are maturing. Bring the whole family for Dachshund racing in Old World Village! We have personally taken our 4year old dachshund and it is a great event to have the dogs interact and have fun! If you don't have a dachshund just come for kicks it's something different to do for dog lovers! Dozens of dachshunds will race down the20-yard cobblestone track as hundreds of spectators cheer them on. Some of the dogs will have tonly rained for minutes with a team of two handlers each who encourage and plead with the little dogs. The winners ride with the mayor in the Oktoberfest Parade. 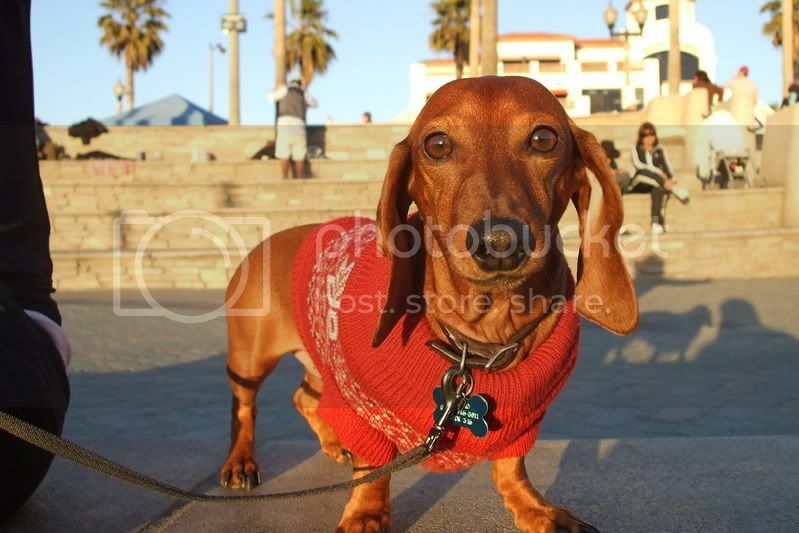 The dachshund, a type of hound dog, was bred in Germany to hunt badgers and other small prey. Their short legs are ideal for following such prey into burrows-but not so ideal for long, loping strides that might be useful for racing. Dachshund racing gained popularity in the '90s after Miller Brewing Co. held a race in Shreveport, La. spawned by a series of commercials featuring dachshunds. Today, the races have become wildly popular across the country in places like Ohio, Minnesota, Montana, Florida, Missouri, Texas and Alabama. Many races benefit animal shelters or rescue organizations. Huntington Beach Farmers Market and Craft Fair are Popular Staples The popular Friday afternoon Huntington Beach Farmers Market and Craft Fair, held at Huntington Beach’s Pier Plaza, have continued to delight young and old for more than five years. Located at Pacific Coast Highway and Main Street, the Farmers Market and Craft Fair attract locals and visiting beach-goers. A recent edition of the Los Angeles Times gave the market a favorable review and noted that it “...enjoys the most beautiful location of any market in the Southland—right along the beach.” The Farmers Market features a wide variety of fruits and vegetables, including organic produce. It is open Fridays from 1 to 5:30 p.m. during the summer and 1 p.m. to sunset during the winter. Due to event conflicts, it will be cancelled on August 2. The Craft Fair features both whimsical and useful creative arts and craft items made by more than 50 artisans. Held Fridays, at the same time and location as the Farmer’s Market, the Craft Fair will not be held on Aug. 2, Sept. 6 and 13 and October 4 due to event scheduling. The Friday Farmers Market and Craft Fair are part of the Huntington Beach downtown experience that provides a relaxed family-oriented environment, including a scenic pier, expansive beach, a collection of shops and restaurants, a six-plex movie theater and numerous free special events. For more information about the Farmers Market, Craft Fair or special events call (714) 536-5486.